I have made many, many fabric and other sewing related purchases lately. What I am sharing here today is truly only the tip of the iceberg… I am eagerly waiting the delivery of many more packages over the next week or two, so buckle in and hang on! I am eagerly looking forward to attending a quilt retreat in November (Quilt Bliss). I signed up for the rainbow fabric swap, and I received notification this week that my color is yellow. I will be cutting (26) 10-inch charm squares out of 2 yards of fabric. I found Curiosities Firefly Jar in Glow by Art Gallery on the Pink Castle website, and it stood out to me as bright yellow. In person it is a truly bright, almost highlighter yellow, and I will be cutting the yardage up and setting it aside in anticipation soon. I received the weekly email from BackSide Fabrics about their specials for the week, and I couldn’t resist the great deal on the Studio e Prisms print. I picked up quite a bit of the aqua colorway without a plan… but the next day I used it as the basis for a quilt design and I will be getting to share the coordinating solids for that quilt with you soon! Jo-Ann fabric is currently having an amazing deal on their Kona solids; the fabric is 40% off and don’t forget to check out their online coupon codes for additional savings. I ordered several online (see previous comment), but I also stopped by a store to use my birthday 20% off total order coupon and picked up a yard of bone, bluegrass, turquoise, royal, berry, and 4 yards of white. And since I was picking out fabric for several new quilts, I went ahead and color coordinated with Aurifil thread and picked up 6 new large 50wt spools from Hawthorne Threads. I love having the color card on hand! As well as working to color coordinate between my Aurfil and Kona color cards, I was also almost completely out of piecing thread, so I picked up Dove (2600) to try along with my typical Stainless Steel (2620). I am so excited to dig in and start some awesome new projects… what have you been adding to your stash lately? Yup yup Judy, LOVE the prisms fabric. I got three yards each I. Three dif color ways! Thanks for the tip! And yeah, who doesn’t LOVE Kona? Especially when I found out the SUPER deal getting it at Joann’s and Hancocks with the coupons! Did you know even when it is on sale for 30% or 40% off, you can ask hem to put it back to normal price so you can use your 50 or 60% off coupons? Excellent! Even cheaper than fabric.com! All great fabric choices! The yellow is bright, but a good bright. Can’t wait to hear about your retreat! Good call on the solids too! I’m loving your fireflies! I’ve just added some steel gray solid yardage and Zen Chic Reel Time charms–I want to do a throw for my daughter with appliqued hexagons and a modern feel. I also added some charm packs of Modern Background Papers “just because”–I know I’ll find a use for them soon! I’m trying to break out of my traditional ways and embrace the modern quilts–I love them, but have been timid about testing the waters. Such a delight it is to get new sewing/quilting items in the mail and at a store. Your new solid collection is really pretty and will make some gorgeous projects. Coupons from JoAnns are wonderful. Thank you for sharing and have a wonderful creative day. All great choices, Yvonne. Can’t wait to see what you make! Wait a minute, Yvonne! I definitely hear all of those fabrics playing so nicely in the background 🙂 What great choices–can’t wait for the new quilt. Great stash. I love those fireflies. It’s so bright and cheery. Awesome stash additions! After my fabric buying in August I have been very good only buying 3 spools of Aurifil thread to match a project. And now that I am down an arm, I plan on not purchasing any fabric in the next month or two. I’ve had my eye on that aqua prism fabric for a while now (even ordered a swatch of it) but since I didn’t have a project in mind, I’ve not gotten any yet. Thanks for the tip on the Kona being on sale. I love it when they have it on sale AND can use an additional coupon. Win-win! Excited to see what you come up with. 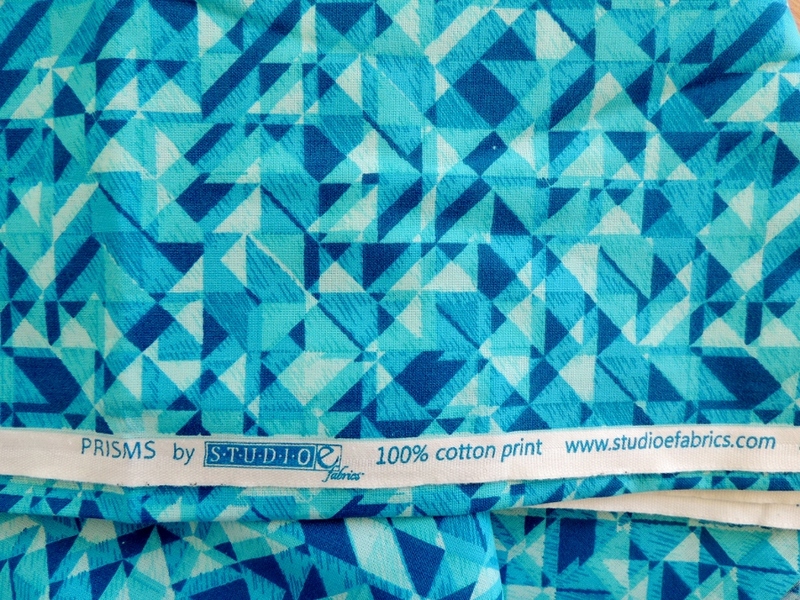 The prisms fabric is a dream to work with! Great fabric. The turquoise is my favorite but be warned, you can’t see the quilting very well! 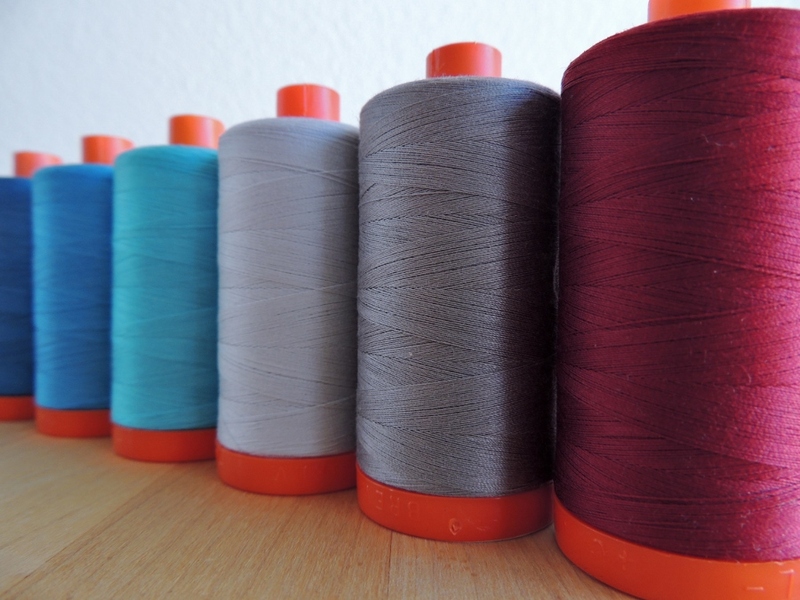 Not a fan of Aurifil thread AT ALL, but I do have a love for Kona! Have fun at your retreat! Great stash – you go for it! 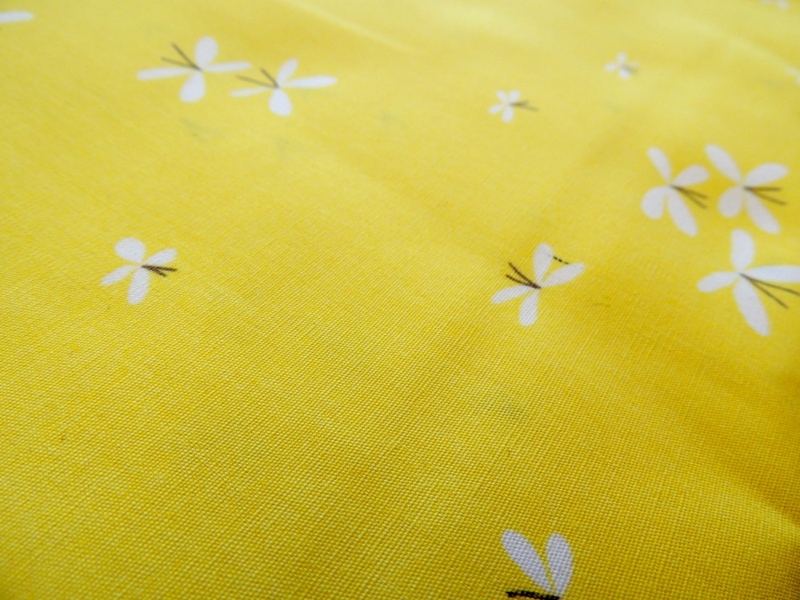 I love your yellow fireflies fabric, it looks beautiful and sunny down my screen. 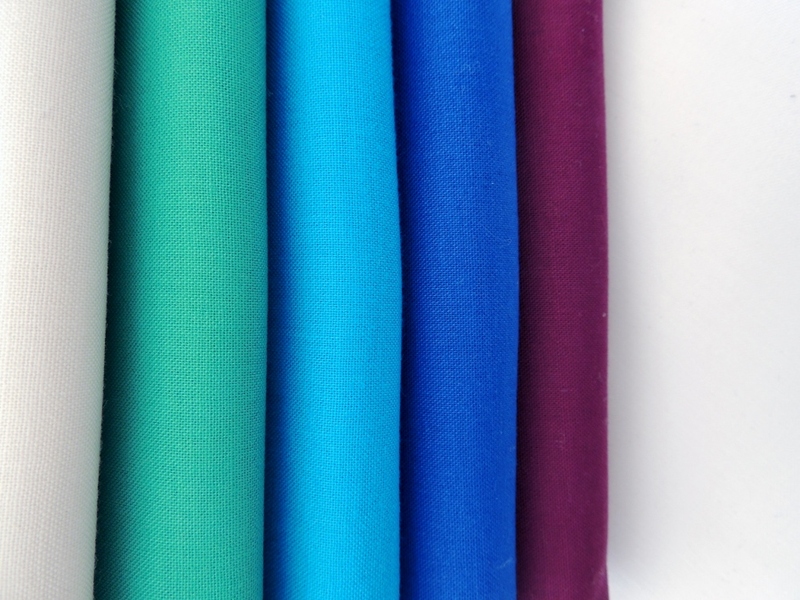 And that acqua prism fabric looks just made for you! Excited to see what you came up with from it now.